Have you ever cooked something that was so good that you had to run out and share it? 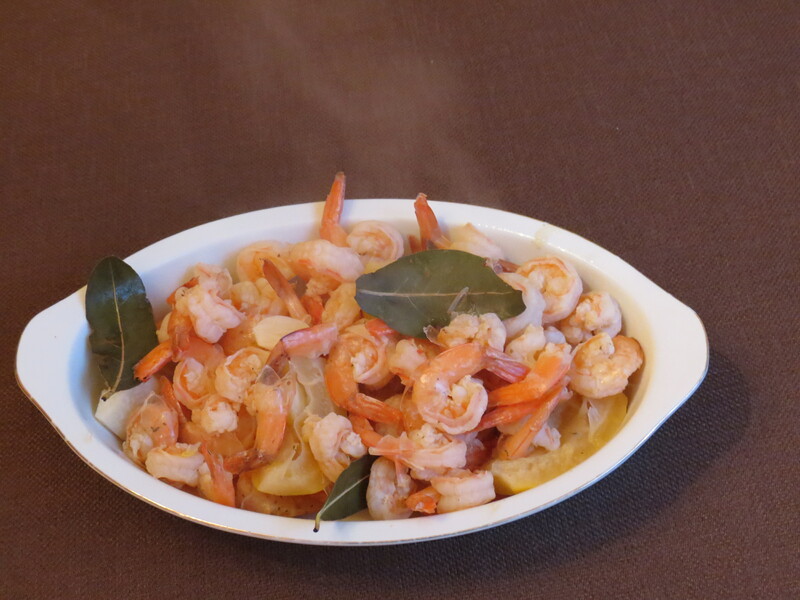 I was reading Adam Holland’s blog last week that featured Shrimp Scampi which I love. Late afternoon and I didn’t really have a plan for dinner. As luck would have it, when I sent a comment to Adam about his scampi, he was on line and we got my dinner figured out in a flash. I was musing about making shrimp but mentioned that I had some vague idea of combining shrimp and sausage with some peppers I had on hand. 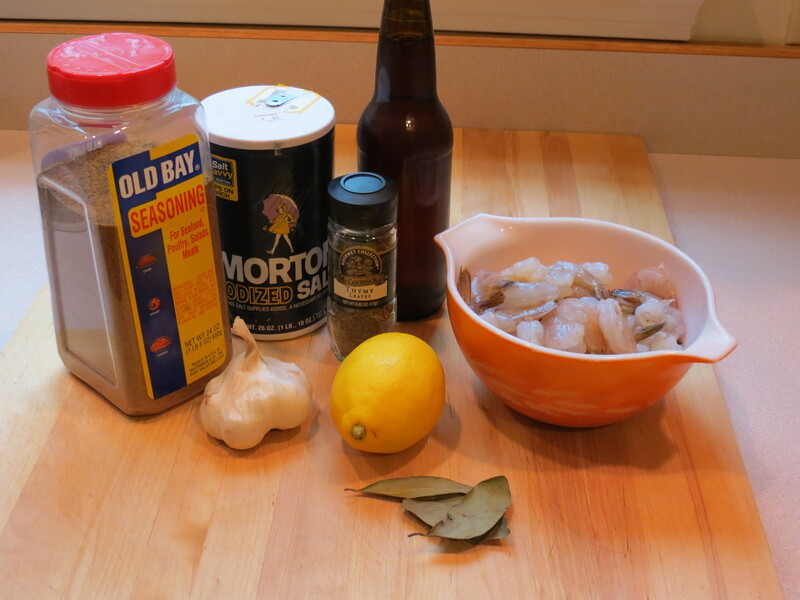 Well Adam jumped right on that with suggestions and our exchange resulted in this unbelievably scrumptious concoction that I don’t have a real name for – how about if we call it Shrimp/Sausage Gumbo a la Diane with an assist from Adam. 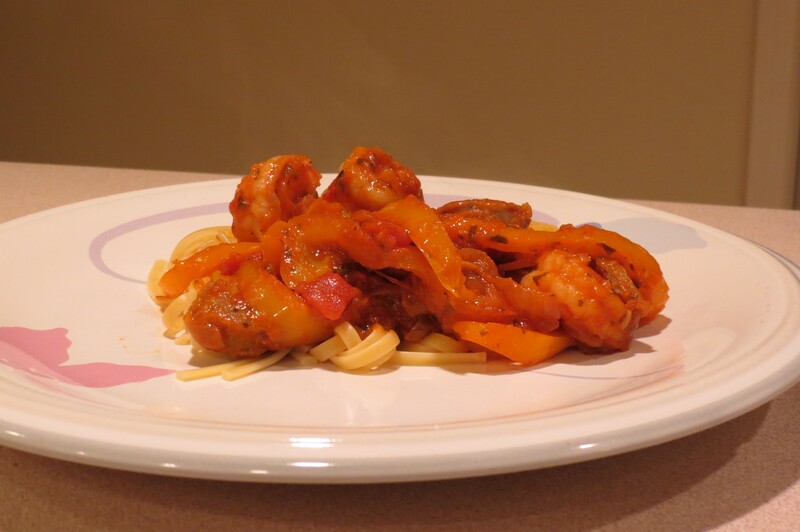 What really made this a great dish was his suggestion of caramelized onions and using a fra diavolo sauce. Okay, I’ll admit I didn’t know exactly what a fra diavolo sauce is but it seemed like my leftover sauce from the week’s spaghetti and meatballs would do just fine. My hat’s off to you, Adam for your timely help with dinner – thank you! 6. Let bubble and simmer while flavors combine, adding more red wine as it reduces, then serve over spaghetti or as Adam suggested, sop up the juice with a nice thick slab of homemade bread. Now I mentioned that sometimes you make something that’s so tasty you just have to share it. So the next afternoon, Niki got out of work early and I just had to run the leftovers out to Boston for her to try. Unfortunately, in my excitement I wasn’t thinking about it being the Friday of a holiday weekend so when I left at 5:30, I found myself in what WBZ was calling “a slow crawl down the Mass Pike all the way to Westboro”. Slow crawl? Cripes, I would have gotten home faster if I’d ditched my car.